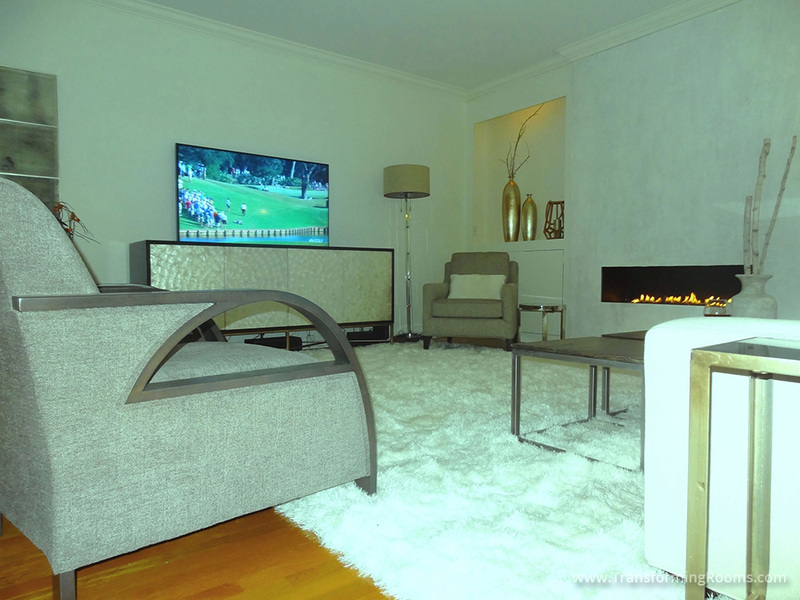 This High Point, NC homeowner requested help with a fireplace remodel. 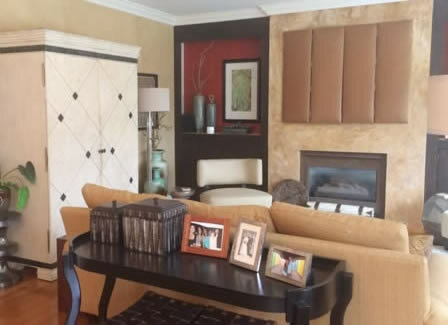 They preferred a contemporary style, with a linear fireplace and built in niches on each side. We make remodeling easy, by making suggestions for TV placement and the furniture layout before remodeling begins. Notice our new location for the TV allowed it to be a lower height, for proper ergonomics to avoid neck pain. We ask all the right questions, to make sure your remodel will accomplish all your goals.